This is the easiest recipe and so yummy that it is hard for me to resist having it one last time before the fall leaves are gone and the grill is shut down for the winter. The best part of this recipe is that it only takes ten minutes on the grill and about 7 minutes of prep time–not bad for dessert. 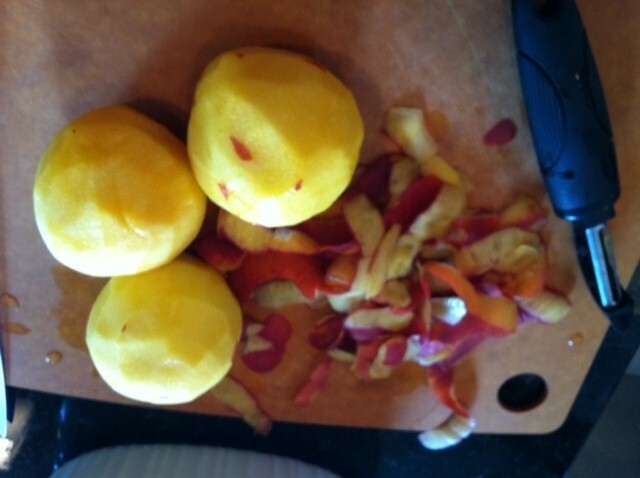 First prepare fresh peaches by using vegetable peeler to remove peach skin. 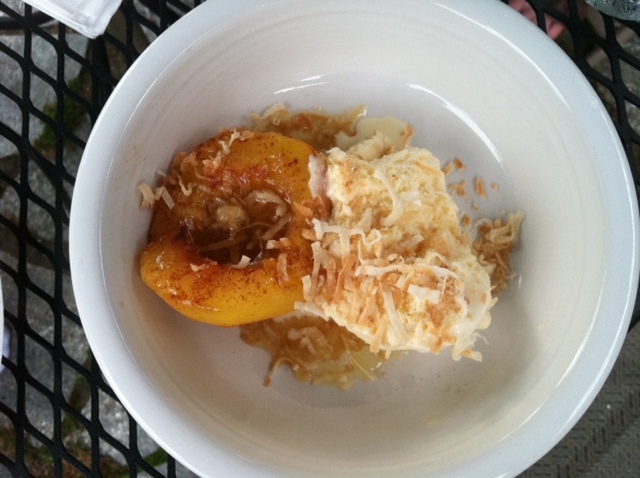 Cut the peaches down the center and around pit, then twist the sides to release the halves and remove pit–very similar to the way you prepare avacodos. 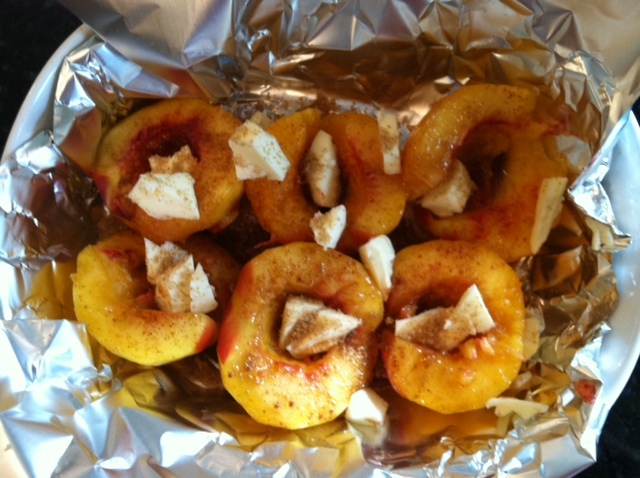 Place peach halves into a foil tent and sprinkle with brown sugar, dot with butter and add a dash of salt. Seal the tent so no juices escape.